Why does it feel so ordinary when your confidence is rocked? Life events happen to everyone. That said, the feeling when something happens that rocks your world can set you back in ways that are often confronting. How often do you hear people sugar coating when you see that the reality of what they are creating in life is misaligned? Do you find yourself in this place too? This Masterclass may be the most important 2 ½ hours of your year. There’s no time to relive the stories that led to confidence blocks. Everyone spends enough headspace time in this place. Imagine instead of having resources to upgrade your self-confidence, find new meaning in the circumstances that rock your confidence and take away new resources to look differently at your own circumstances and act immediately? What if I told you that I had just met someone who has incredible life balance, a romantic relationship of her dreams, owns a stunning house, has gorgeous children, an amazing business with a seven-figure income, close friends, and an annual luxury holiday travel manifest that is out of this world? Sounds awesome? You want that life! What if I also told you that the same person had endured 22 major surgeries, had two babies miscarry well into pregnancies, spent six months incapacitated lying in a bed, has donor babies due to extreme infertility, was blindsided by divorce, saved a person’s life in an accident, had to literally start again in her 40’s, changed her religion for marriage, lost her father suddenly, once faced a major lawsuit (and won eventually) and watched her husband have a heart attack in his early 40’s in a remote ski resort on the other side of the world. Same person. And yes, she is grateful for that life too. She will tell you that all the negative events were her making – and yet – none were easy to endure and yes they did rock her self confidence. 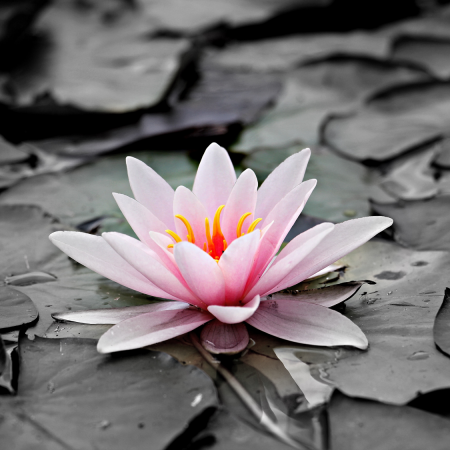 Just like a lotus flower we too have the ability to rise from the mud, bloom out of the darkness and radiate into the world. This Masterclass will show you what steps to take and where to find the resources to create your happy place, your self confidence, self belief and to live like you do when you are aligned with your life legacy and living your most abundant life plan at full potential.